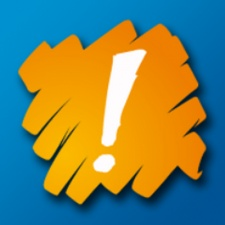 Developers across the world such as Supercell, Rovio and Outfit7 are set to back SpecialEffect's upcoming charity fundraiser One Special Day. Taking place Friday, September 28th, the annual event seeks to raise money to support the organisation in its efforts to adapt, modify and create hardware and software that helps gamers with disabilities play games. So far this year’s backers include Supercell, Rovio, Nordeus, Space Ape, First Touch Games, New Star Games, Seriously, Lockwood Publishing, Outfit7, Miniclip, Fingersoft, Dots, MAG Interactive, DirtyBit, Glu and Boombit/Play With Games. Each company will support One Special Day by donating UK or worldwide revenue from in-game sales. Titles set to donate their earnings from the day include Clash of Clans, Angry Birds 2, Talking Tom and 8 Ball Pool. PC and console developers meanwhile are also set to list their titles on a One Special Day Humble Bundle, as well as holding various other fundraising events. Over the first two years, One Special Day has raised more than $700,00 for charity. SpecialEffect hopes this year’s event will take that total over $1 million. For further details on One Special Day and how to get involved visit the website.